OVERLAND PARK, Kansas - January 18, 2019 - Hoppe’s, the best known name in gun care products, will host top competitive shooters in the booth (#14551) at the 2019 Shooting Hunting and Outdoor Trade (SHOT) Show in Las Vegas, Nevada, January 22-25. Show attendees will have the opportunity to meet world-class shooters Lena Miculek, Jessie Harrison, Maggie Reese and John Scoutten. Lena Miculek, the newest addition to the Hoppe’s Ambassador team, will be in the booth for a meet and greet Tuesday, January 22 and Thursday, January 24 from 4 to 5 p.m. Miculek is a professional shooter who started competing at just 8 years old. Working as a full time professional competitive shooter for 6 years now, her past accomplishments include placing in the lady division at the NRA World Shooting Competition, IPSC Rifle World Shoot in Russia and High Lady at the USPSA Optic Nationals with PCC. Recognized as one of the most accomplished competition shooters in the world, Jessie Harrison has won both world and national championship titles, including the Bianchi Cup and the Steel Challenge World Speed Shooting Championships. Harrison will be in the Hoppe’s booth January 23, from 11:30 a.m. to 12:30 p.m. and January 25 from 11:30 a.m. to 12:30 p.m.
Maggie Reese, a professional shooter and USPSA champion, will be in the booth Tuesday, January 22 and Thursday, January 24 from 11 a.m. to noon. Reese is a three-time National Champion in USPSA Multi-Gun, and multiple Ladies Champion at Superstition Mountain Mystery 3-Gun, MGM Ironman 3-Gun and Rocky Mountain 3-Gun. She was also a “Top Shot” cast member. “Shooting USA” host and gun guru John Scoutten will be available to meet with show attendees on Tuesday, January 22 and Thursday, January 24 from 1:30 to 3:00 p.m. Scoutten interviews and participates alongside the best competitive shooters in the nation. All attendees are encouraged to stop by booth #14551 to visit with their favorite shooting sports celebrities and learn more about the latest products offered by Hoppe’s, including the revolutionary new Hoppe’s AirVault, which protects firearms by creating a molecular barrier against the corrosive effects of moisture, salt, and other contaminants. To store a firearm, simply clean the firearm per the manufacturer’s recommendation, place the unloaded firearm in the AirVault bag and securely press zipper closed. AirVault protects a clean firearm from rust for up to five years. 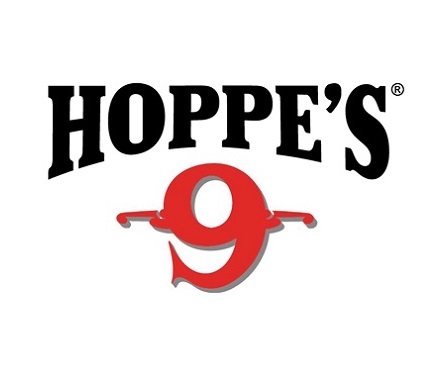 Hoppe’s, a Vista Outdoor brand, serves shooters of all disciplines, and offers gun care products that meet the rigorous standards Frank Hoppe established more than 110 years ago. 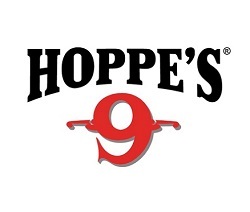 Visit the website at www.hoppes.com.